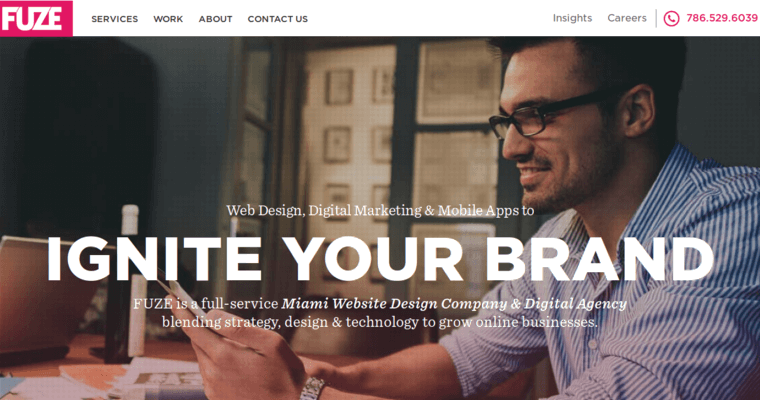 Fuze Inc is a web design firm based in Miami. They help guide brands into the digital future and beyond. They offer services relating to search engine optimization, pay per click advertising, and conversion optimization. They help you plan your strategy for your digital marketing needs, they help design and develop your website and your mobile apps for Android and iOS, they help you develop content and do content marketing, they help you develop all kinds of videos, ranging from small clips and commercials to long videos, and they offer social media marketing services. Their websites are responsive and designed for mobile devices. They also focus on building ecommerce sites and online stores. 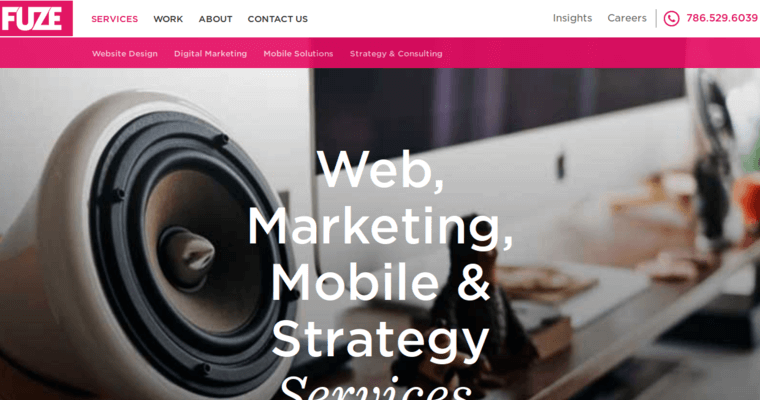 Their services are integrated with each other to provide you with a marketing plan that will surely succeed and bring you the best possible return on investment. Some of their clients include Bessie and Barnie and Mood University.